How to Save Money Shipping a Car to Nigeria! The used car market in Guinea continues to grow, and in the past few years there has been over $20 million worth of used cars shipped from the United States to Conarky, Guinea. Due to the limited number of vehicles available in Guinea, car purchasers turn to the United States for affordable and reliable used cars. Today we will highlight some of the available international car shipping service from the United States to the port of Conarky, Guinea. Located in West Africa and bordering six (6) different countries, the Republic of Guinea is a growing market for used cars purchased and shipped from the United States. 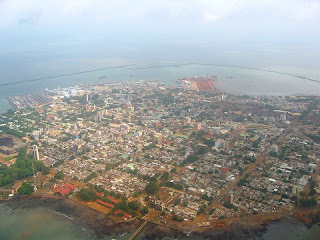 The major port in the Republic of Guinea is Conarky, which is also the capital and largest city in the country. We can ship cars, construction equipment and containers to Conarky, Guinea from the United States. Most cars shipped from the US to Conarky are shipped using roll-on / roll-off shipping service as this is the quickest, most affordable and reliable way to ship a car to Guinea. Our roll-on / roll-off overseas car shipping services from the USA to Conarky ships from the ports of New York, Baltimore, Jacksonville and Savannah. We also offer car shipping service to Conarky from the Canadian port of Halifax. International ro/ro shipping for vehicles to Conarky takes approximately 18-25 days from the Canada and the US with service available 2-3 times a month. In addition to shipping cars using ro/ro shipping service, we can also provide international container shipping service to Guinea from all major ports in the United States. We can load anywhere from 2-4 cars in a container and ship it to Conarky from the east, west and golf coast of the United States. 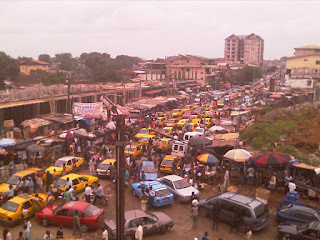 Imagine getting stuck in this traffic jam in Conarky – with international used car shipping service from the USA you can also take your chance at driving through Medina Market, one of the largest and busiest markets in West Africa. International car shipping costs to Conarky from the United States is very affordable due to the large trade industry in Guinea. Most of the economic activity in the city of Conarky revolves around the port. As one of the world’s leading provider of natural resources such as bauxite and diamonds, Guinea has made sure they have a modern port capable of handling their bustling trade industry. The developed port is also great for people looking to import used cars from the United States for their personal use in Guinea. The modern port is capable of handling large ro/ro and container ships without a problem. For more information on our international car transport services to Conarky, Guinea from the United States, give us a call at 212-267-6400 or send us an email at sales@kinternational.com. You can also find us on Skype at kinternationalny. K International is one of the best international car shipping companies in the USA and we offer some of the most affordable car shipping quotes to Conarky, Guinea from anywhere in the US. Contact us today to receive your car shipping rate to Conarky, Guinea!